Atlantians are stepping up to perform some magnificent works of art this year at Pennsic! Want to know exactly where and when to see your fellow Atlantians on the stage? Lord Richard Wyn is putting on his first ever Pennsic solo show on Thursday of Peace Week, 7/30, 7:30 – 8:30 pm at the Amphitheater. Dragonsong, a world music band from northern Atlantia, plays a concert on Friday 7/31, from 10:00 – 11:30pm, on the Performing Arts Tent stage. Lady Sophia the Orange and Lord Manus MacDhai perform with the i Verdi Confusi commedia troupe in “The Courtesan’s Discount Bed” on Saturday night, 9:00 – 10:30 pm, on the Performing Arts Tent stage. 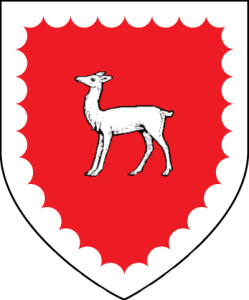 Lord Johann von Solothurn, Atlantia’s Kingdom Bard, leads the Atlantia Bardic Circle (also a join in below) on Wednesday, 8/5, from 7:00 – 9:00pm in Atlantia Royal Camp! Lady Sophia the Orange directs the Iron Commedia performance at 7:00pm on the Amphitheater stage. Iron Commedia session #1 of 2, Friday 7/31, create and put on a Commedia play in one afternoon from 1:00 – 6:00 pm in the Amphitheater. Show goes on at 6:00pm at the Performing Arts Tent stage. Avalina del Dolce, Derek le Garde, J. Conrad Muni, Manus MacDhai, Sophia the Orange and other commedia enthusiasts from Atlantia will perform in the Commedia Expo on Sunday, 8/2, from 2:00 – 5:00pm, on the Performing Arts Tent stage – and audience members will be welcome to join in some scenes! Whose Line Doth it Be? Improv Comedy show – Monday, 8/3, Auditions for evening performance are 4:00 – 6:00 pm at the Amphitheater. Performance is 7:00pm at the Amphitheater. Cantore Borealis, Monday 8/3 5:00 – 6:00 pm, Performing Arts Tent stage, A “pick up” choir formed during Pennsic. Ban Ollamh Orlaith Ballach Ingen Fhlainn, OL, of Northshield, organizes music, rehearsals and performers. Note: If you’re interested in performing, find her in Northshield populace camping for an audition. Pennsic Fools’ Parade, OPEN TO ALL FOOLS! Meet at 3:00pm at the bathhouse. All ages welcome, and kids bring an adult! Iron Commedia session #2 of 2, Wednesday, 8/5, create and put on a Commedia play in one afternoon from 1:00 – 6:00 pm in the Amphitheater. Show goes on at 7:00pm on the Amphitheater stage. Lord Johann von Solothurn leads the Atlantia Bardic Circle on Wednesday 8/5, from 7:00 – 9:00pm in Atlantia Royal Camp! Please come help STRIKE THE STAGE on Friday night 8/7 at 10:00pm, after the last performance! It’s always a hard time to find people still awake and willing to turn a screwdriver to help pull everything down. If you trod the boards anywhere at Pennsic, please pitch in and help us strike the set on Friday night! Enjoy the Performing Arts all through Pennsic this year! A Guide to Performing Arts at Pennsic – or My Kingdom for an Infographic! There are just so many activities under the scope of Performing Arts at Pennsic, I am tempted to use interpretive dance instead of words to describe them. But there is no time… let me sum up. There are three general ways to enjoy the performing arts at Pennsic: 1) Watch them, 2) Do them, 3) Learn about them. Expect overlap. 1) WATCHING: To discover which entertainments fit your schedule, mood, and age/maturity requirements when you want to be the audience, consult the following resources: Pennsic Book Performing Arts Schedule for the Performing Arts Tent, the Amphitheater, and other random performance places. Those random places include spots like Runestone hill where the Practice Safe Bardic Safe Practice Circle is on Saturday afternoon or the Enchanted Ground where they hold an in-persona bardic circle almost every night. The “Bards By Day/Bards By Night” book is one additional place where those performances plus some unofficial performances and open bardic circles can be tracked. If you happen to have internet access, use this link (https://sites.google.com/site/pennsicbbdbbn ) and a paper copy is often available on site at Mystic Mail. Daily, starting on Saturday of middle weekend, in the Performing Arts Tent, from 2-5:00pm, an Exposition for a specific performing art is held: European Music, Commedia, Bardic, Middle Eastern Dance, Harp, and Storytelling. Audience members are welcome to drift in and out at their leisure. Nightly, Saturday through Thursday, there are performances of Commedia dell’ Arte plays which tend to be for mature audiences. Wandering performers lurk the streets of Pennsic seeking mugs decorated with ribbons hanging from camp entryways. If you wish to sit in your camp and let the entertainers come to you, go ahead and hang a mug with ribbons from your camp entrance and be hospitable. Mugs with ribbons = a ready audience for any polite performer. See the PA Schedule in the Book for open join-ins like: Recorder Jam Session, Iron Commedia, Open Stage Shakespeare Night on the Green, Who’s Line Doth It Be Auditions, Fool’s Parade, and Mini Bardic Madness. The Bards By Day / Bards By Night book is as close as there is to a schedule for open bardic circles, but your best bet is to find an experienced fire-hopping bard and offer to be their water bearer. The Known World Players hold auditions for next year’s play, “The Alchemist” by Ben Johnson, on Wednesday, Aug.5, 4:00 – 6:00pm, in the Performing Arts Rehearsal Tent next to the Amphitheater. Mugs decorated with ribbons hanging from camp entrances are invitations for polite entertainers to come into a camp and perform for the audience there. *NB: The Performing Arts Tent staff can always use additional volunteers especially from performers who have enjoyed the use of the stage when it comes time to STRIKE the stage on Friday night at 10:00pm! Please come help STRIKE THE STAGE! Very rare classes start as early as Thursday of Peace Week, so plan your schedule early! The Bardic Collegium is daily Sunday-Friday (but Monday is the Bardic Expo instead) from 3:00 – 5:00 with a different topic every day presented by experienced Pennsic bards. “Learn by doing” classes include: Iron Commedia, Youth Commedia, numerous kinds of improvisation classes for theater, storytelling, and music, Fool’s School, and the Sing We and Chant It Jam (with optional rehearsal). Love Will Return – The Story of Héloïse & Abélard by Mistress Dervila ni Leanon & Master Efenwealt Wystle: Tuesday 7:30- 9:00 PAT Mistress Dervila rewrote her previous telling of this story to include 113 additional love letters she discovered from a new source. Master Efenwealt may have done a little work too on some music to go with it. 😉 This performance is the product of two experienced masters of their craft doing a 4 month remake of one of their favorite pieces with a new exciting resource. Magic will happen. 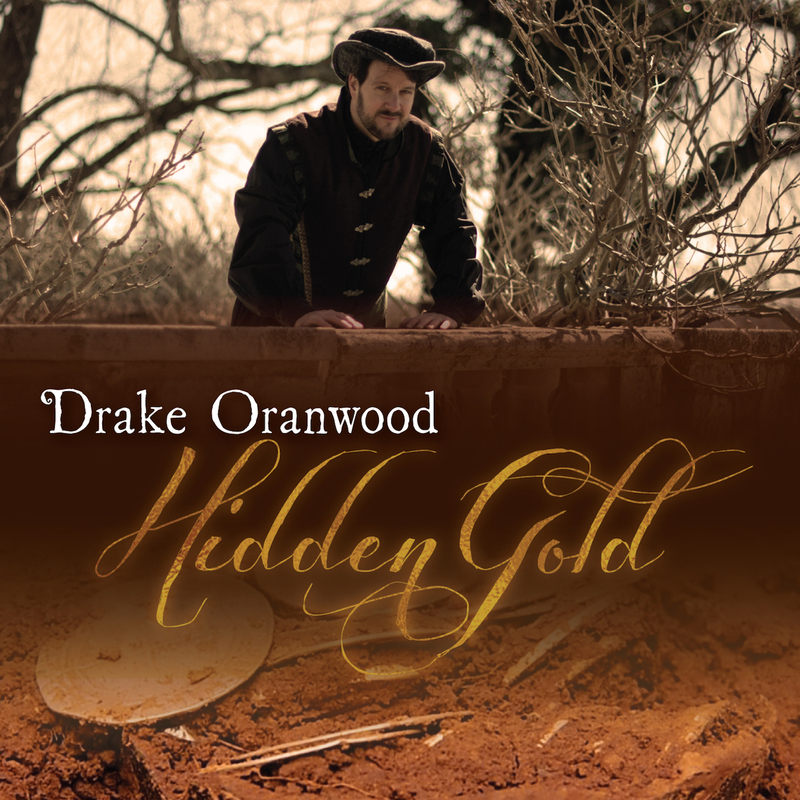 Drake Oranwood – Singing Minstrel: Sunday 6:00 – 7:00 PAT Drake’s first CD just came out and all proceeds go to a children’s education charity, but to see him in person sharing his joy of music with you… you will believe in the SCA all over again. Youth Commedia Performance: Friday 5:00 – 6:00 PAT If you want to see kids pull off something impressive you never thought possible, come see this show. During last year’s inaugural voyage, the Pennsic Youth Commedia program under Lady Cael O’Conail proved that teens and kids can improvise comedy just like the pros! You *will* laugh your socks off! Open Stage Shakespeare Night On The Green: Middle Saturday 6:30 – 8:30 Amphitheater It’s open mike night for Shakespeare geeks at the Amphitheater! Miss that not! There is NO excuse to be bored at Pennsic even if you think “nothing’s going on in my camp.” No need for a party invitation or required inebriation. Mug your gate or take your mug to the Performing Arts Tent and see what’s coming to life on the stage! Atlantia Elevates A Dance Laurel! It’s been 16 years since Atlantia recognized a Laurel in the art of European Dance, and we lost that dance leader to the Kingdom of the West many years ago. While strong leadership has been demonstrated in the art of dance by members of the Atlantian Academy of Dance (http://dance.atlantia.sca.org/), the new Kingdom Deputy Ministers of A&S for Dance – North and South, and numerous dedicated dance practice leaders in local communities, the Order of the Laurel in Atlantia has had few internal resources to draw upon for dance. We were lucky to see Master Issac and Mistress Aidan, Laurels recognized for their expertise in 16th century Italian dance reconstruction, move to our lands in the Barony of Nottinghill Coill from the far reaches of Northshield many years ago, but Atlantia has not recognized one of her own in the art of dance in a very long time… until now. Our own Lady Margherita Battistina (aka: Margaret Roe) will be elevated to the Order of the Laurel at Pennsic in recognition of her excellent skill in the art of European Dance. Her vigil will take place across the street from the Dance Tent on Tuesday, August 4th starting at 9:00pm. (If you wish to bring food, please do not include citrus, corn, soy, milk, pineapple or alcohol.) Her elevation ceremony will take place during a special session of Atlantia Royal Court at the Dance Tent starting at 9:00pm on Thursday, August 6. Lady Margherita has been directing the European Dance program at Pennsic for the past three years. She has also created countless balls, workshops, demos, classes, and practices throughout Atlantia where people have learned to dance since 2008. Her skills range from direct personal teaching to original writing and publication based on her research. She has taught SCA members, Renaissance Faire actors, and the general public. Her scope covers Italian, English, and French dance and the clothes to go with it. Dance is not her only skill. Lady Margherita has also taught costuming and made clothes for many fellow Atlantians. The fruits of her labor can be seen in the wardrobes of numerous Atlantian royalty and nobility. Lady Margherita’s service also benefits her local community. She has served as Deputy Chatelaine of her home Shire of Spiaggia Levantina since 2012, and she has served as an officer for the Atlantia Academy of Dance since 2009. As a community of SCAdians, we are blessed to have such a gem as Margherita Battistina to teach us the art of dance with passion and scholarship. She is a resource that creates a well-rounded nature to our arts community, and her elevation to the Order of the Laurel is an occasion to celebrate! Many thanks go to Master Solvar Hammerson for organizing her vigil. For last minute vigil logistics coordination, Margherita asks that you contact her directly at margaretiroe@gmail.com or on site at the Pennsic Dance Tent nearly 100% of the time. Master Stephan of Cambion is also assisting coordination of snack food for her vigil (If you wish to bring food, please do not include citrus, corn, soy, milk, pineapple or alcohol) and can be reached via lanhamlaw@att.net. Pennsic University Bardic Track: An Explosion of Opportunities! I started to come to Pennsic just five short years ago and taking classes at University was entertaining and educational but I found that classes in the bardic track were sparse. When THL Lorelei Skye, the Pennsic University Dean of Performing Arts, asked me to take over the bardic track I thought this would be a good opportunity to increase classes in all three areas of bardic; poetry, storytelling and music and thanks to the many people who heard my call for teachers we have a full track this year. There for a while I didn’t think it would happen so few people responded but in the last few days of charting all the classes our bucket was overflowing and we were scrambling to find places to put everyone. Classes begin on Wednesday, July 29 and there is a class/rehearsals going on every hour from 10 AM till 5 every day, which breaks down to 275 spaces filled in performing arts, 60 different bardic classes, in 6 locations. Classes are held in the Performing Arts Tent (PAT), Amphitheatre (AMPI), Practice Arts Performance Tent, Classroom AS9 along with a couple other classrooms and the battlefield. Can you just say Huzzah! Pennsic Choir has several of our lofty voices who have been practicing all year just to soothe our souls with their musicality. See the performance on Thursday 8/6 at 6:30pm in the Performing Arts Tent. And don’t forget the Atlantia Bardic Circle on Wednesday 8/5 from 7:00 – 9:00 in Atlantia Royal Camp led by our own Kingdom Bard, Johann von Solothurn! I could go on and on about all the great Bardic things going on at Pennsic like all the bardic circles that can be found every night (check out the Bards by Day/Bards by Night book kept at the Mystic Mall) and don’t forget the Bardic Expo on Monday afternoon or the Storytelling Expo on Thursday afternoon…wait, wait there is also the Practice Safe Bardic Safe Practice (which used to be called “The Peerless Bardic Circle”) on Saturday or Bardic Madness or Shakespeare on the Green or the Sing We and Chant It Madrigal Jam. Needless to say there are a plethora of classes, performances, and opportunities to perform so that when you leave Pennsic you will leave with your bardic mug filled to overflowing. Why do I want to make an album? What was compelling about this as a project, that I would want to do this as an SCA hobbyist? I love being an SCA bard, but that’s because I love performing and the SCA makes it so easy to do. “You’re a bard? Awesome! Sing us something? You know, just stand up and give us a piece.” No instrument needed, no band, no speakers. Just get up and do it. You can play an instrument, and many do, but even most of them don’t do it all the time. So why would I want to record an album? That’s a whole other level of effort. For me, the answer was that much as I love performing, I love writing even more. I’ve always wanted to be a writer of some kind, and over the years I’ve realized that songwriting is my most preferred form. I won’t go into all the reasons (I’ve laid those out in a class I teach on the subject), but I love it and it is one of the things I do best. I consider myself a better songwriter than I am a singer. And, like any writer, I want to get my work out there. In the time I spent in the SCA, it became pretty clear that what gets a song “out there”, where people know it, and request it, and want to sing it themselves, is the same thing that gets a song out there in the mundane world: a recording. There is a small but very real market here in the Society for recorded bardic music, and people love the songs they hear on their bardic CDs. Yes, you can post a YouTube video of a performance at an event (and I have), and that can get a song out there. But I’d never done a complete full-scale creative work of my own–a book, a play, an art show, what have you. I wanted to make a thing. And I wanted that thing to capture my songs the way I hear them in my head. Do I have enough really good material for a complete album? This was tricky. I’d written only three songs when I decided to get serious about becoming a bard. I’d written other kinds of songs for years, but SCA music is its own thing, and for me, at least, songs aren’t things I just bat out in an afternoon. Once in a while, but not normally. For me, a piece I would consider worth recording usually takes about a month to write. I need the right inspiration, I have to put all the pieces together, and I need to revise and polish it until I’m really happy with it. Daily life, and raising a child, had left me with little time to focus on that for a number of years, but now that my son was school age, and old enough to enjoy the SCA, I could make time. And friends and patrons were encouraging me to up my output. So in this first real year of the project (and as a member of the Pennsic bardic community, I measure a bard year as the span between one Pennsic and the next), I set myself the task of a song a season. In the end, I managed to produce six new songs, bringing me to nine. That was getting close. I wanted to have 12 tracks on the album. A practical consideration: In the age of digital music, where it’s easy to just buy one song, an album is a little more compelling if it’s cheaper than buying track by track. So how to get from 9 to 12? I had an idea for another song, and I had a title and a chorus: “Hidden Gold”. As I reflected on it, I realized that was the title I wanted for the album. I just had to write it. Later, working with a patroness and a teacher, I got the suggestion to use a double sonnet I’d written years before as a spoken word piece, and I learned a John Dowland song that I really liked. In the end, I realized that spoken word and period music would be great additions to a bardic album, so I had my track list. What sort of sound am I shooting for? This is a big consideration. Many bardic albums are performed with little or no instrumentation, much the way most live bardic performances sound. Certainly making an album just of what I could actually do myself would make it a lot easier. And while I have taken lessons in a few instruments, I don’t play anything at performance level, so that would be a conundrum. Because I realized two things: (a) I wanted to make a professional-sounding album, or not bother. And (b), I grew up listening to Broadway soundtracks. So what I hear in my head when I write and sing my own songs, it’s pretty rich and full. I wanted that. I wanted other people to hear the woodwind trills, the deep cello counterpoint, the driving acoustic strumming, that played in my head on these songs. Which led me to the next question. Who can help me make this a reality? I was going to need some serious help to make this happen. I wanted serious instrumentation that I couldn’t play, and production values I didn’t know how to capture. I was going to have to ask for help. This was the step that had stopped me back when I was writing modern pop music. I didn’t know who to ask, or how to ask, or how to make it worth someone’s while to work with me on a project this scale. Doing it in the SCA, however, it is as surprising how to easy it was to get help. And don’t get me wrong, I got lucky. Having two old friends, one who played guitar and had experience recording rock music with GarageBand, the other (Arden of Icombe) who had become a music Laurel and could play and arrange music for virtually any period instrument you could name? That was insane luck. But. But. I asked them. And showed them my songs. And they liked them. And said yes. How badly do I want to do this? What am I willing to invest to make it happen? What’s my deadline to deliver this? How do I make sure I get things done on time? Originally I had the idea to shoot for Pennsic 43, but along the way, my wife suggested I push it back a year and finish in time for Pennsic 44. But then, my wife is a lot smarter then I am. Crucially, I asked for commitments around the end game items I was going to need help with late in 2014, so I didn’t end up with any critical eleventh-hour surprises that made me miss my target. Giving myself enough time to get it done the way I wanted was important. And waiting an extra year meant I was able to learn how to do the producing part much better, and was able to get all the time I needed from my collaborators without having to be too stressed or pushy. Which allowed me to address the next question. How do I reach my goal for quality? do I know when I’m there (or close enough)? The extra time I gave myself opened up space for a lot of additional collaboration that made the finished product that much better. I was able to realize my dream of having Heather Dale record the vocals for the Faerie Queen on “Tam Lin of the Elves”, since we hosted a house concert for her, and (as I expected) she was thrilled to be able to just have me record her with my equipment rather before they left, rather than have to find time back home to do it for me. It opened up time to find the four female harmonies I wanted for “Lady of the Rose”, giving that song exquisite sweetness, but literally the feminine voice it required to sound best. The biggest part of getting the quality I wanted was continuing to ask for help. Almost nobody I asked told me no. Everyone had something to offer, even if it was just advice. I realized I wanted to get a mastering engineer to master the album properly, because otherwise all the effort I’d put into the sound was still going to result in a product that fell short of my hopes. A friend connected me to another friend, Neil Fein, who was willing to support my donation project at a special rate, and who gave me feedback on all my mixes so I could get them better. I got some voice coaching from Olivia Baker, a brilliant singer who did some vocals for the album. I ended up forming a small committee to review all the tracks and give me honest feedback about where I could improve things, and reworked the edits and the mixes and my vocals to get things still better. I ended up upgrading from GarageBand to Logic Pro X, which gave me more powerful tools to enhance things further. I handed it off to Neil for mastering, and accepted I had done everything I could do, and it was time to put my hands up and step away. How do I finish it so everything is really done? The album cover. My wife reached out to Countess (now Crown Princess) Caoilfhionn, and arranged a professional photo shoot for the cover photos. She was brilliant, creative, and very sweet (can’t recommend her enough), scouting out a great location, and coaxing good shots out of me, and I don’t consider myself photogenic. I reached out to my good friend Aneleda Falconbridge (who designed the cover for her own album, I Am of the North, the previous year) to do my design. Graphic design is what she does, and does well. Her concept, very different from what I expected, showed me she understood the intention and tone of my project. Copyright. You don’t have to, but if you’re going to sell your work, I think you should submit your original work and your recordings for copyright. The copyright office makes it pretty easy to do it all online, and it doesn’t cost that much. CD manufacturing. Aneleda and Efenwealt Wystle suggested I check out Kunaki. They do on demand CD manufacture using an online loading process. It is the least expensive way for an independent artist to manufacture a professional-looking CD. Read the FAQs and mind the caveats. It was a reasonable option for me. Distribution. There are many online distributors who can sell digital downloads and distribute an album to the outlets of your choice (iTunes, Google Music, Amazon, Spotify). I went with CD Baby, because I liked their distribution options and their interface. How do I get people to buy it? Once it was all done, there were things I needed to do to let people know about it, and establish demand. This was where asking for help was really key. People who’ve been there before, such as Efenwealt Wystle and my teacher Mistress Zsof, had lots of good advice about how to get the word out. Singles. SoundCloud and YouTube provide great ways for people to find your music online, and you can share them with people without making them available for download. Airplay. Of course, this is the SCA, so how do you do that? Well, as of right now, there is The Knowne World Bardcast, a podcast dedicated to the bardic arts in the SCA, and Gideon ap Stephen has devoted a lot of effort to make it happen. He was kind enough to get one of my favorite tracks into an episode of the podcast the week before the release, which meant serious fans of Bardic got to hear it. A little help from your friends. I reached out to my teacher, and well-connected friends, who were kind enough to spread the word. Heather Dale, of course, has a well-established fanbase, and having her involved with the project was a tremendous blessing in getting people’s attention. Event merchants. For Pennsic, I’ve found a couple of merchants who are happy to carry the album (Camelot Treasures and Master Kenhelm, in case you’re wondering). It’s crucial to have the product where people can find it at big events. Advertising. My plan is to take Efenwealt’s advice and advertise in The Pennsic Independent and on Facebook leading up to the War. Performances. If you’ve gone to the trouble of recording, you should find venues to perform. I’ll be doing a one-hour concert on Sunday of War Week at Pennsic, performing mostly songs from the album. Again, I’ve asked for help: Efenwealt will be joining me onstage to provide some accompaniment, and Heather will be reprising her duet with me from the album. Based on their experiences, this is vital to stoke demand. So that is my experience to date. It has been an amazing ride, and I’m really glad to have gone through it. And I’m really looking forward to taking a break from it all when Pennsic is over. Performing artists have been able to produce CDs independently since around the 1990’s with equipment that’s affordable and understandable by many people. A professional level of training, equipment, and funding has not been necessary for decades to get your music, stories, lectures, or other kind of audio recording into a CD format and distributed to the people who share your interests. The journey, however, is still a long and arduous one for any artist questing for that golden ring of the CD. Time equals money, so an artist can try to make up for lack of one by investing with the other, but both are required. There are numerous recipes for success, and an artist will have to make many choices along the way taking into account their own priorities, resources, and goals. In Atlantia, numerous bards have produced their own CDs, shared beautiful music and stories with us, and contributed to the ability of our populace to memorize lyrics to our favorite tunes. They and other musicians throughout the SCA have also produced CDs that help expand our understanding and enjoyment of SCA period music, music inspired by period themes, use of period dance music, and encouraged performers of all kinds to participate in the SCA performing arts community. So, where do you start if you want to produce a CD? If you’re a SCAdian who’s been bitten by the CD bug, where do you even begin? As of this writing, the Complete Anachronist has not yet published an issue on “How to Publish A CD for SCAdians”, and there is no single authoritative web page on the best way to do it. We are, however, blessed with a strong community of bards and other performers who thrive on supporting each other. Many of these folks have produced CDs and are willing to tell their stories. This blog post is the first in a series of blog posts written by SCAdians who have produced their own CDs. Reading their stories will be a key piece of the education necessary for any SCAdian who wishes to begin their own journey to producing their own CD. 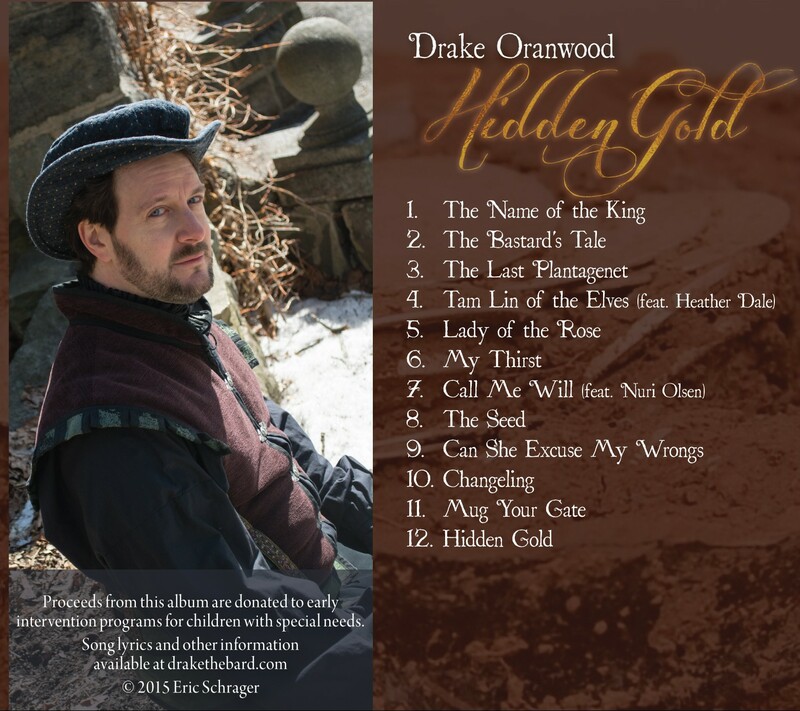 What used to be a quest to meet as many CD-producing bards at Pennsic or Gulf Wars or Lillies or wherever you could find them and pick their brains about how they did what they did will hopefully be transformed into this series of blog posts. I still encourage any questing would-be-CD-producers to find folks who have already produced a CD before to hear their stories, but maybe your time can be better spent in creative Q&A after reading their story here first. We’re going to touch on a very wide range of topics in this series: recording equipment, logistics, printing and reproduction, finances, solo and group work, online publishing, copyright, merchanting in the SCA, the creative process, inspiration and muse, original work vs. not, documentable-to-SCA-period work vs. not, production value of CDs, audiences, SCA vs. outside-SCA, purpose & drive, and more I’m sure I can’t predict. We will touch on these topics, and there is no way we will completely cover them since CD production is a huge, neverending world. Please enjoy these articles as a place to start and nurture your CD journey. If you have questions you’d like answered about the quest to produce a CD, please add a comment to this or the following blog posts. I’ll do my best to get your questions answered and include your suggestions. Thank you for participating in the Performing Arts Community!